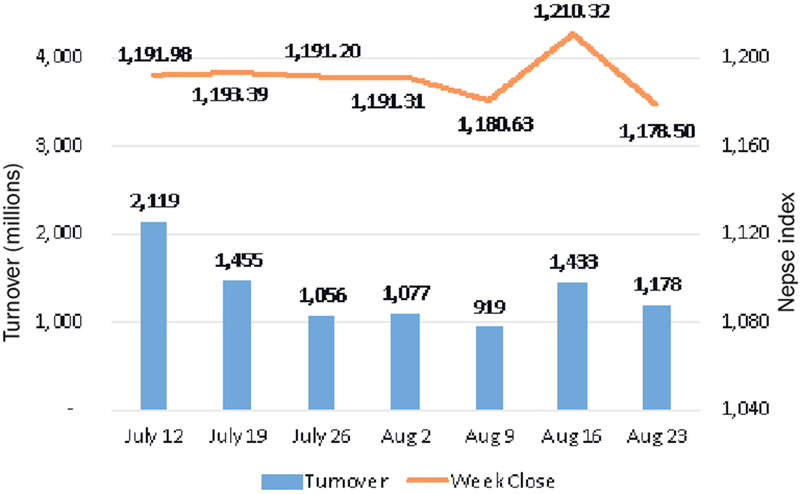 KATHMANDU, Aug 25: Stocks fell for all trading sessions of the week as the Nepal Stock Exchange (Nepse) Index erased all of its previous week's gain. Sunday was marked by the biggest decline of the week where the index shed more than 14 points. Subsequently, weakness carried to the remaining sessions with the Nepse Index posting a weekly loss of 31.82 points or 2.63 percent to settle at 1,178 points.